When you live with misaligned teeth, you have an increased risk for developing oral health issues, like gum disease and tooth decay. When they are not properly aligned, they are more difficult to clean. Even with the best oral hygiene habits, there will be many areas that you cannot clean, especially if they are overcrowded or overlapping. As a result, harmful bacteria and plaque accumulate and become trapped, leading to dental issues. In addition to tooth decay and gum disease, you can also develop gum recession and tooth sensitivity. In some cases, it can increase your risk for breaks and chips from a misaligned bite. When you have protruding or rotated teeth, you have a heightened risk for dental emergencies. If trauma to the face occurs, these teeth will take the brunt of the force. As a result, they are more likely to become chipped, broken, dislodged, or knocked out. Poorly aligned teeth can often lead to an improper bite, which places added strain and pressure on the temporomandibular joint. This joint is located on either side of the face and connects the jaw to the skull. If it suffers from unnecessary strain, it can become irritated, causing pain, swelling, and a decrease in your jaw’s mobility. The way your teeth fit together is similar to a puzzle. Each tooth must be in its proper place to promote a healthy smile. If you are suffering from misalignment issues, orthodontics will straighten your smile and improve your oral health. 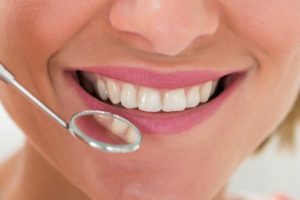 Your family dentist in Norwood will perform a careful examination and use diagnostic images and impressions to map the movement of your teeth. As they are moved into their ideal position, you will not only increase your confidence but foster a healthy smile as well. If you are ready to start your journey to a healthy, straight smile, contact your dentist for an orthodontic consultation. For more than 50 years, Central Dental Associates has provided the community with state-of-the-art dental care. Using the latest technologies and dental practices, they provide customized solutions to develop and maintain healthy, beautiful smiles. In addition to preventive services, our highly trained dental team offers many areas of specialty to help you reach your oral health goals. If you are interested in promoting the health and appearance of your teeth, contact Central Dental Associates today to schedule a consultation.